XCITE Energy. BIG RISE FORECAST! Yes as foretold here on the blog Xcite’s rise is destined to continue with in-house notes now being re-written. Upgrades are a plenty here in the city of London. Xcite’s drill is now known to be in its latter stages with a big increase being pencilled in re’ the Bentley OIP. This share-price is well on the way to breaching 200p with massive oil potential about to be confirmed some believe that Bentley could hold up to 1 billion barrels of oil. The price targets on such a find will push this sp well over 300p per share. Expected news from Xcite will be very positive as they gear up to announce the full commericialty of their Bentley field the sp is expected to rise significantly. Xcites NOMAD are known to be rubbing their hands with glee. The FDP is a FOREGONE CONCLUSION! BENTLEY WILL BE PRODUCING OIL so says Dan’s contacts. You can take it as done that the field developement plan is being worked on as you read this post. 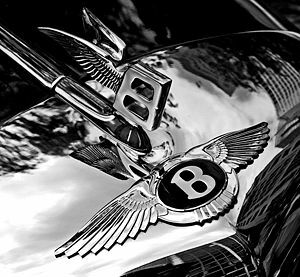 Bentley will become yet another commercial heavy oil play in the UKCS. My Stat-oil contacts have been sullen in their response to calls. There’s the feeling that they have missed out on Bentley running through their Board! Tough luck! ALL the brokerage coverage is positive. There is going to be a BIG rise! 400/500P is very possible here! Eyes on! Encore Oil. News flash. RNS Alerted. Echo Energy, Shell & other bits of the jig-saw! Statoil are the biggest player in the area by far and have swallowed up several producers around the area so a matter of time before they gobble up Xcite but it’ll be closer to £20 a share rather than £2 a share mark my words. XEL being valued at a paltry $1 a barrel – and possibly less if they find more which it looks like they will. If they find a billion barrels then the last Statoil takeover valued the co at $15 per barrel so that would mean a $15 billion dollar price tag on XEL. Do the maths but XEL is enormously undervalued and an absolute MULTIMULTIBAGGER. Xcite has announced its quarterly results ending September 2010. It highlights that the well is making excellent progress following the completion of the vertical well and the identification of a thicker than expected reservoir. During the quarter the company has raised £3.4m via a combination of the equity drawdown facility (£3m) and the exercise of shares and warrants (£0.4m). The company is fully funded for the drilling campaign and we expect the completion of the well and flow test in late November. Xcite continues to make good progress at its Bentley field; the initial results from the vertical well are particularly encouraging. We continue coverage with a Strong Buy recommendation and target price of 247p. Thanks for the link whoever attached it. Did a brief synopsis this afternoon. Big things to come! See the site below guys. Well done Dan.